For the past few months, I've been busy working on a series with a good friend about the pony express. This month saw the release of my first book in the series. The express lasted an extremely short time, only 19 months of operation. Yet, it captured the hearts and minds of the people then and today. Who were the men of the express? To be honest, most were mere boys. Young, lanky, kids would have been lighter weight for their horses to carry. The trip of 1,900 miles done is shifts of around changing horses every 10 miles or so. One of the most famous riders was no other than William F. Cody who rode for the express when he was ony 15 years of age. On one trip, he crossed the territory between Red Buttes Station to Rocky Ridge Station and back, a distance of 322 miles, when his relief rider was found dead. This was one of the most dangerous sections of the entire trail and was completed in 21 hours and 40 minutes. Twenty-one horses were required to complete his ride. 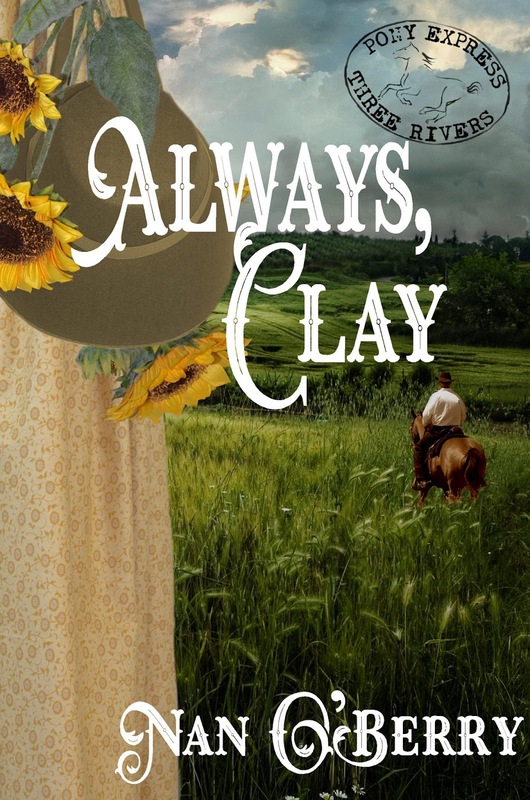 Be sure to check out Always, Clay on Amazon and ride along with author Reina Torres and myself as we bring adventure and romance to the riders of Three Rivers Station. My first novella in the new Sweethearts of Jubilee Springs series was recently published. 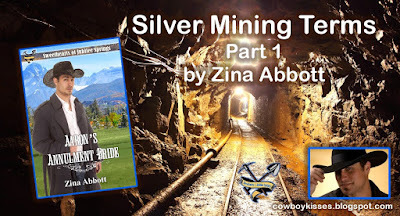 The setting for this novel takes place high in the Colorado mountains and involves a silver mining town. 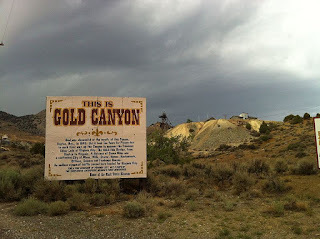 For my Eastern Sierra Brides 1884 series, I have been writing about gold mining. That is what I have researched. 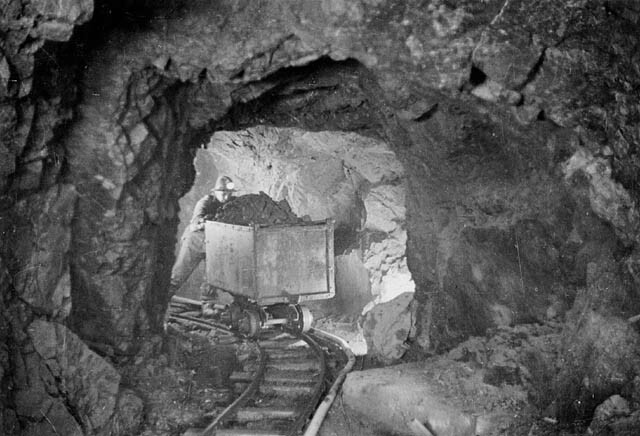 Although I know often gold and silver were (and still are) found in the same localities—often the same mines, I didn’t know much about silver mining. For starters, I thought I would gather a few mining terms. Some pertain to silver mining specifically, others are for mining in general. Silver mining in our hypothetical town of Jubilee Springs was hard rock mining and hard rock mining of any ore often involved the same or similar processes. So, here we go with A through L for your reading education, if not enjoyment. 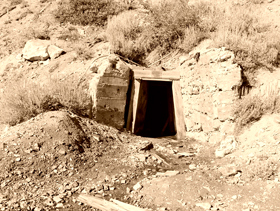 Adit - An entrance to a mine, generally a horizontal tunnel. 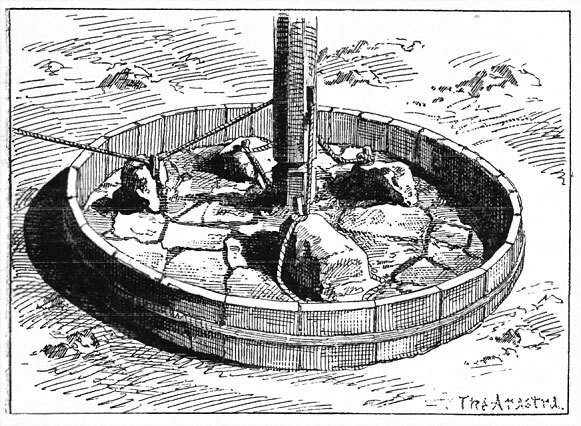 Arastra - A mill, consisting of one or more large stones dragged around on a circular bed, used to grind ore. A horse, mule or humans provided the power. Argentiferous - Bearing or producing silver. Assaying - Finding the percentage of a given metal in ore or bullion. Base Bullion - Precious metals contained in lead. Breasting Ore - Taking ore from the face, breast or end of a tunnel. Bullion. 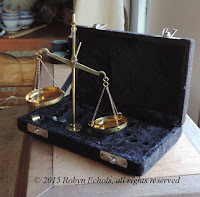 - Precious metals, gold and silver, etc., not coined. Carbonate - A geological formation which carries silver ore, and from 5 to 70 per cent. of lead. Chlorides - A compound of chlorine and silver. Crosscut - A horizontal tunnel driven perpendicular to the main direction of a vein. Diluvium - A deposit of superficial sand, loam, gravel, pebbles, etc. Drift - A horizontal passage underground that is .excavated along a rich vein of ore. Used in hard rock mining. Dump - The pile of ore or debris taken from mines, or tailings from sluicing. Face - End of level or tunnel against the ore or rock. Gangue - The worthless rock in a vein which holds valuable metals. Gash Vein - A vein wide above and narrow below. Hanging Wall - The layer of rock or wall over a lode. Hard Rock Mine - A tunnel that is dug into solid rock for the sole purpose of finding valuable or precious rocks, minerals, or metals. High Grade Ore - Ore which runs more silver than twenty ounces to the ton, with 50 or more per cent of lead. 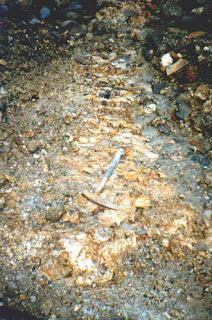 Hill Claims - Minerals found in or under a hill. Horse - A mass of rock matter occurring in or between the branches of a vein. Kibble - Iron Cornish bucket used to hoist ore and miners to the surface. Level - A tunnel cut on the vein from the main tunnel. A drift. Ledge - A vein or lode. Lode - A metallic vein. Low Grade Ore - Ore which runs below twenty ounces of silver to the ton, fifty per cent of the ton being lead. Aaron Brinks, son of the Jubilee Springs mercantile owners, has been living in a small room above his parents’ store even though he is employed at the Prosperity Mine. When the mine owners announce they have contacted a mail order bride agency, and will allot company houses to the first ten miners who choose a bride and pay her way, he decides it is time for a house of his own. Shy Andrea Draper must escape her father’s ranch. 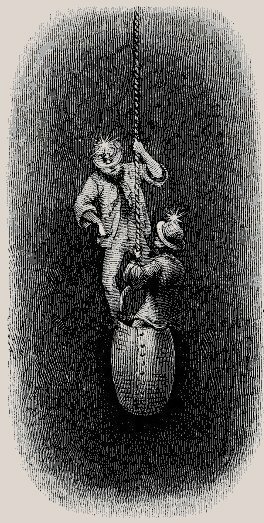 Her father has discouraged all potential suitors because he does not want to lose his unpaid housekeeper, laundress, and the cook for him and his men. Then there is the problem of Lloyd McCreary, her father’s foreman. Learning her friend intends to go to Jubilee Springs as a mail order bride, going with her seems Andrea’s only option for escape. 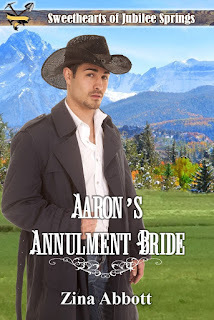 She agrees to marry Aaron even though she knows she is not worthy to be any man’s wife. While trying to convince him to be married in name only until he gains title to his house, at which time they can annul the marriage, Andrea’s father shows up to drag her home against her will. Learning what he is up against, Aaron must decide if it is just the house he wants, or if he wants Andrea. 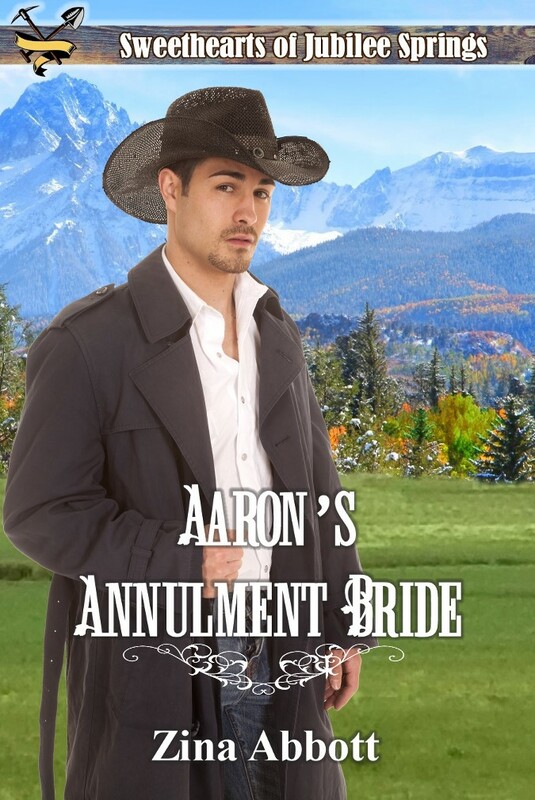 You may purchase Aaron’s Annulment Bride from Amazon by CLICKING HERE. Also, please follow Sweethearts of Jubilee Springs on Amazon to find all the books in the series, including my second book, Cat’s Meow, which is now on preorder and due to be published July 4th. The kind of ball I’m talking about are Rocky Mountain Oysters, also known as Prairie Oysters, Cowboy Caviar, dusted nuts or just plain ol’ calf fries. For most people (let’s call ’em non-westerners perhaps?) the thought of eating calf testes does not sit well, but neither, for some, does eating sweetbreads, liver, venison or—banish the thought!—horsemeat as in France. 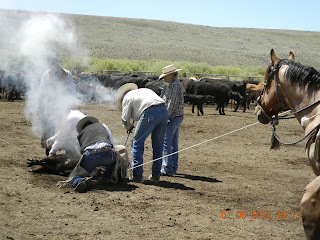 Cowboys out on the range were not quite so picky; they knew that every edible part of the calf was not to be wasted as a food source. And what does one do with buckets upon buckets of the by-product of castration? For baby bulls to become meaty, hefty steers, manageable and likely to bring in a good price, well, castration was a necessity. And we’re not going to just throw away those meaty little…er…balls, now are we? But these tasty testes are not just a food source. They’ve become a cause for celebration, literally a Ball about balls. Several festivals now take place throughout the west celebrating this delicacy. Down in Nevada where round-up might come earlier, due to the comparatively milder weather, than further north in the Rockys, a festival is combined with a St. Patrick’s Day Parade in March in Virginia City. Aspen, CO, leaves their Rocky Mt. Oyster Festival and BBQ for September, while the most famous of them all, the Testicle Festival or TestyFesty, in Clinton, MT, takes place during August. While I’ve never personally attended any of the above, I understand that the TestyFesty is something of a bikers’ bash. It includes a woman’s hot oil wrestling competition, a wet T-shirt clash, a man’s ‘biggest balls’ contest (in wet underwear—the mind truly boggles) and, most naturally, an eating competition of this famous food. Since I’ve seen on the local news in NY people choking down hot dogs in a competition at Coney Island, I can only imagine what takes place in Clinton—a frat party on steroids. I haven’t attended any of the above but I have eaten Rocky Mt. Oysters. The taste has been compared to many things but my first impression was chicken nuggets. The ‘oyster’ name comes from their sliminess prior to cooking, not their taste. The crop is gathered at branding time, when vaccinating, ear marking and castrating are done. Then hand that bucket over to your chef. He or she, like a fine surgeon, has to make an incision to separate the first membrane or outer skin away, afterwards soaking the balls in water for an hour. Some cooks use warm water, some cold. At this stage, he or she will make a second incision and remove the last membrane, popping the oyster into waiting batter. At the Cottonwood Ranch in Wells, NV, where I had my first taste of Rocky Mt. Oysters, Chef Amber’s recipe included 1 Cup of flour, 2 tsps of garlic powder, tsp. salt, tsp. pepper, and tsp. of seasoning salt; she fries in peanut oil for 8 minutes and serves with ketchup and other condiments. I should think a nice combination of flour and cornmeal might make for a crisper outside, and fresh garlic would be a bonus along with spicy cocktail sauce, Sirracha, Tabasco or similar because, basically, these balls are pretty dang bland. Sheriff Ben Hammond is finally over the woman who shattered his heart, but when Dinah Horne suddenly returns, can he ignore the passion still burning bright between them? 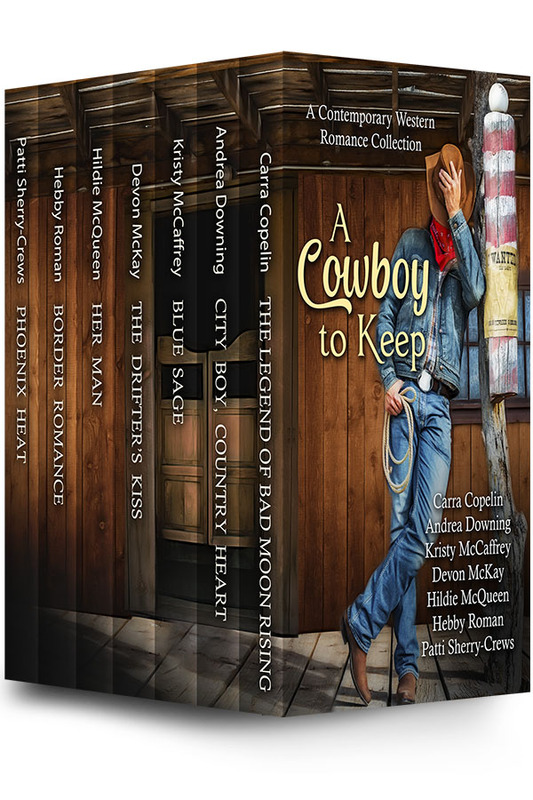 Trading horses for subways for two years seemed like a good idea to cowboy Chay Ridgway, but can city girl K.C. Daniels keep a rein on his country heart? Archaeologist Audrey Driggs rolls off a mountain and lands at the feet of rugged cowboy Braden Delaney. Together, they’ll uncover a long-lost secret. Determined to take back what belongs to her, Addison Reed will do anything. Even trust a complete stranger. Deputy Mark Hunter falls for Eliza Brock during a murder investigation. Is it fate or bad luck, especially when she may be involved? Widow Leticia Villarreal wants to establish a horse-racing stable and old acquaintance John Clay Laidlaw offers to help. But can she trust him with her business and her heart? After losing her fiancé and her New York City business, Harper Donovan returns to Arizona and meets cowboy Frank Flynn. Will his past and their differences extinguish the heat between them?